How do different countries vary in their approaches to governing immigration? Why do these differences emerge? What is the future of immigration governance? 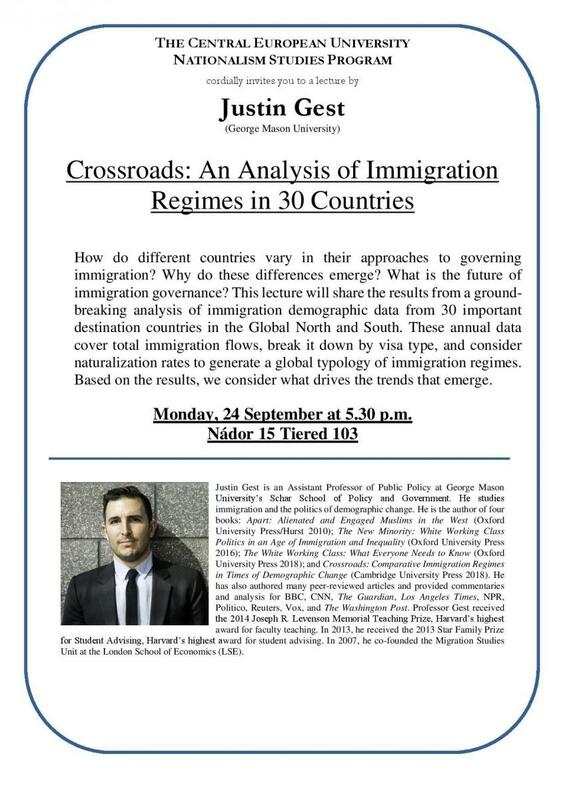 This lecture will share the results from a ground-breaking analysis of immigration demographic data from 30 important destination countries in the Global North and South. These annual data cover total immigration flows, break it down by visa type, and consider naturalization rates to generate a global typology of immigration regimes. Based on the results, we consider what drives the trends that emerge.